If your mission requires the use of a long endurance and low power vehicle, we will support you with a range of low-power-consuming electronic vehicle platform control systems. The ground-up development nature of our technologies ensures that we don’t run energy-hungry operating systems which typically carry a power budget overhead. Our embedded code is native, targeted and efficient. Managing a small power budget generated from on board systems such as solar panels, and remotely monitoring and switching off redundant sensors, we enable you to monitor and control from the desktop interface, via RUDICS Iridium communications to the on-board power management module. Working closely with you, we develop intelligent technologies that align with your vehicle design and mission. 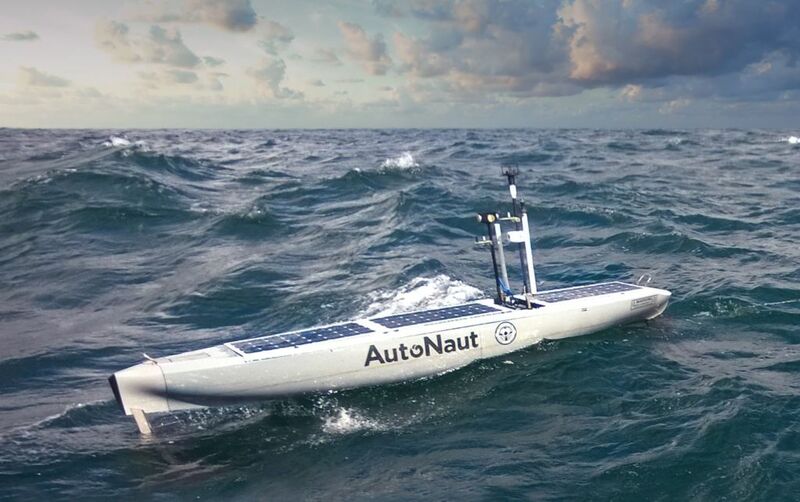 Wave powered USV’s such as the 3m and 5m Autonuats require precision guidance, efficient power and payload management. Precision guidance is provided by the Spectre autopilot within the Platform Control System (PCS). Close-quarter control is achieved with a short range UHF-enabled joystick, and over-the-horizon control and feedback is provided via Iridium satellite communication. The power management modules (PMM) perform a critical and exact management of solar energy harvesting, battery charging, and distribution of power. Data recording and remote monitoring allows full control of how the power budget is allocated. Managing data, including quality control and validation, are optimised to ensure efficient use of the data bandwidth to match your budget. Typical installation for these vehicle: PMM, Platform Control Systems (PCS) including SPECTRE Autopilot, Power Generation Controller, Power Management Modules, Iridium Rudics Modem, Joystick receiver, Data Logger – links to these products are below. The SPECTRE Autopilot has been incorporated into a convenient module which provides a cost effective, self contained remote control system suitable for a small electric boat. 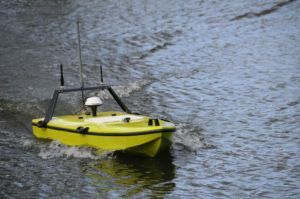 Small survey boats typically have twin electric thrusters and a steering servo, and the basic configuration uses a standard remote control handset to drive motors and steering via PWM signals. 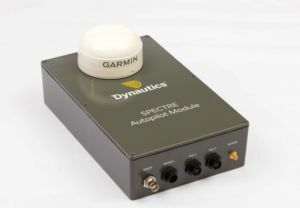 The SPECTRE module augments the capability by adding autopilot functionality. A radio modem, selectable between 450MHz (licence free in UK), 800MHz or 2.4GHz. Ability to be controlled from a laptop, allowing control of way-points, and real time display of position and data on a plan view, superimposed on a chart or Geotiff. The radio modem options include 450 MHz, with a range up to 5 miles (line of sight), up to 2.4GHz which offers up to 400 metres line of sight. Optional features include an on-board datalogger, which will store on a MicroSD card, up to 32GB of GPS, heading, attitude and sensor data as raw input and as a csv file.